This is without a doubt the most important Jerusalem Shekel Set we have ever encountered, and we most likely will never offer another set like this. All Jerusalem Shekels are popular and desirable because of their historic appeal. Certain issues in the series, however, garner the most respect, and none more than the so-called “Crucifixion Shekel”. This three-coin set contains the Shekel struck in AD 33/34–the year of the Crucifixion. 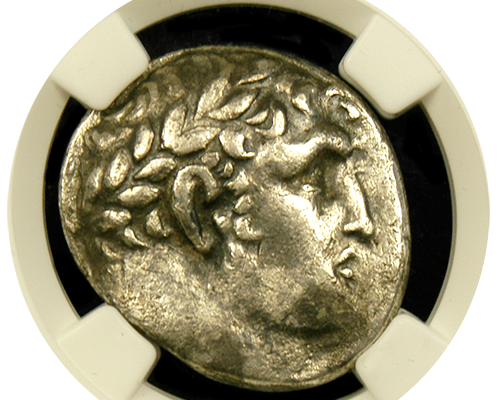 Listed in the 100 Greatest Ancient coin book because of its immense popularity, this is only the second we’ve handled, and it is coveted by all. There are also two other coins in this set–a Full and a Half Shekel, both struck during the lifetime of Christ in 20/21 A.D. Rarely do we encounter shekels struck during the lifetime of Christ. To pair up all three is a feat in itself, but to own the coveted “Crucifixion Shekel” in any condition is an accomplishment that few will http://www.ancientgoldcoins.com/the-jesus-christ-three-coin-shekel-set.htmlever have the opportunity to do. Talk to an Ancient Coin Advisor today! Interested in purchasing the 33/34 AD shekel. Please email me for contact information. Thank you Craig… I have passed on your information to our sales manager and someone will be contacting you shortly.